That's a very good question. I looked briefly at the inside of one of the fenders a while ago, and it was so caked with old dirt and mud that I couldn't see anything. Now that I have the trim pieces, I'm going to go back and scrape the inside clean and see what I can find. If it's possible to see where the old holes are located, it will make things a lot easier for sure! I only say this because I had my stone guards removed and I intend to replace them, but $500 is not in the budget for them at this time. I have looked at my inner rear fenders and I can see where they were mounted, so placement will not be difficult. 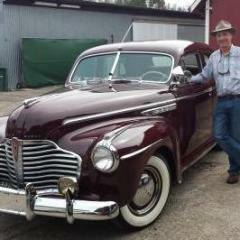 Neil, either the "speedlines" were on the fenders, or they were on the fender skirts, if your car was originally equipted with skirts, and were lost over the years. So, the should be holes in the rear fenders for them, but they may have been filled in by some means. If you need any measurements, let me know, and I can give you some off of my '41, as its' quite accessible . Thanks, Keith. I don't know how my car was originally equipped, but the fact that it does not have the little bits of stainless trim that connect the rocker panel trim with the skirt trim suggests that it did not come from the factory with skirts. So it seems more likely that someone took the "speedline" trim off the fenders at some point and filled the holes. I know that someone did a very thorough repaint on my car and some point, and it's likely that the holes were filled at that time. In any case, I can't find any evidence of the holes on the inside of the fenders. 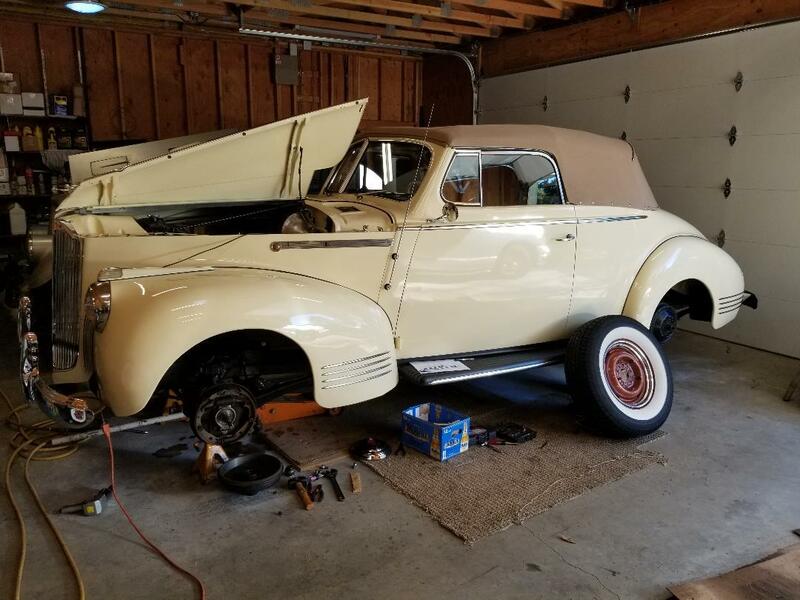 Wayne (414TATA) has already sent me some great photos with a tape measure showing the correct location, so all I need is the courage to start poking holes in the fenders and I will be fine! Also, in case anyone is curious about it, I just spoke to Doug Seybold and got the definitive explanation on why there are two different lengths of the chrome spear trim (21" and 24"). 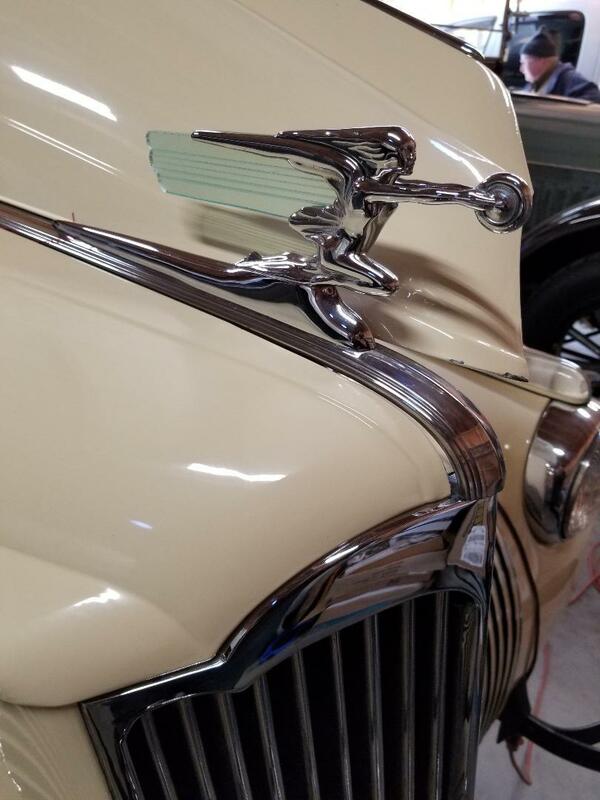 Buick started with the 24" length, but there was a problem with the tips sticking out too far and breaking off. So after two months of production, they switched to the 21" length. So both sizes are "correct." I was concerned because the set I bought are 21," and several of the people I had checked with regarding the correct location have the 24" length on their cars. Doug also told me that the holes in the fender are in the same spot, regardless of the length of the spear. Matt Harwood had alluded to the confusion over the different lengths in another thread and suggested that this was the case. Doug confirmed what Matt has suggested, i.e., a change in production for the reasons given. Don Micheletti and I went to visit Grimy (George) today -- always a treat! 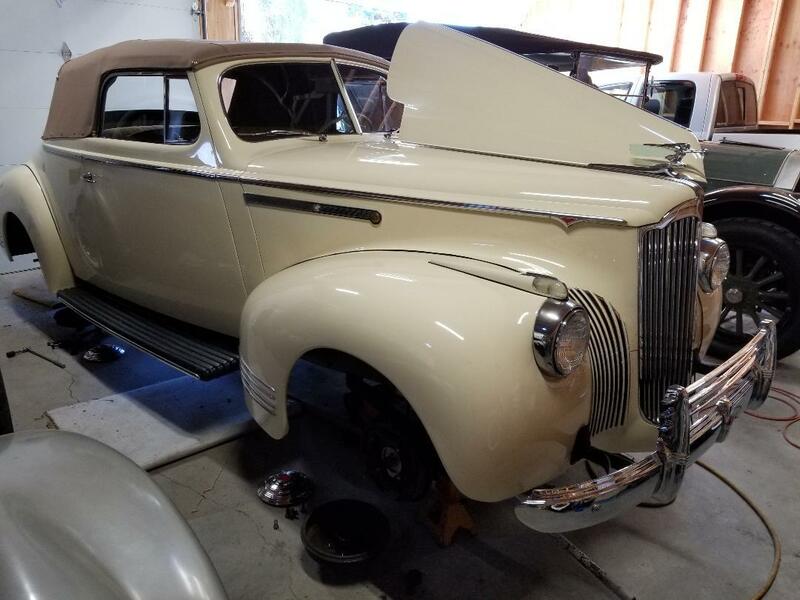 Here's a little video of Don and George conversing as George prepares to back his magnificent 1918 Pierce-Arrow out for a spin. Thanks, Neil! I had a wonderful time with you and Don! It was a beautiful, sunny day in the mid-60s after a couple of weeks of rain--perfect weather for a spin. What is the yellow car that you have in the garage? Love to see pics of it. What is the yellow car that you have in the garage? That's a 1941 Packard 110 convertible coupe whose brakes are being done for the owner by my friend Jeff who owns that garage. The Pierce is too tall for my garages so Jeff, a Packard guy, parks one of his cars in one of my garages, walking distance from his home, in trade. 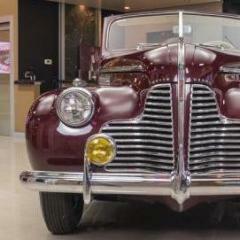 Don't have any photos of the Packard but will try to take some next time I'm over there. Don't have any photos of the Packard but will try to take some next time I'm over there. @kgreen I will save George a trip since I took these photos of the Packard yesterday.